A delegation of 10 representatives from Chester County’s first responder community traveled to the Pentagon last week to collect an artifact from the portion of the building struck during the 9/11 attack in 2001. 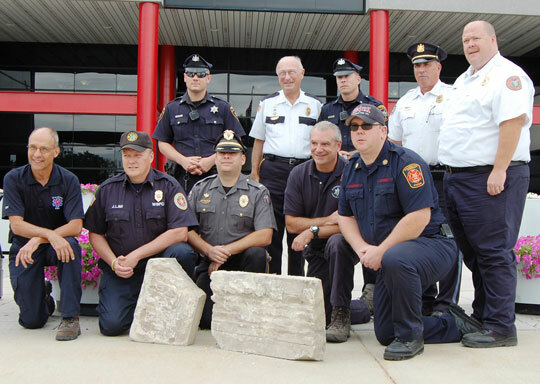 Four large pieces of limestone were selected by the group of Chester County first responders, to be included in a specially-designed memorial placed in the tactical village currently being constructed at the Chester County Public Safety Training Campus in South Coatesville. The delegation was met at the Pentagon by Bill Hopper, Information and Communications Manager for the US Department of Defense. The visit included a tour of the 9/11 memorial conducted by Mike Garcia, who witnessed the plane crashing into the building on September 11, 2001. Beau Crowding, Deputy Director for Fire Services for Chester County Department of Emergency Services, and part of the delegation, commented: “As we were taking the tour of the memorial museum, I looked around at the men representing all of Chester County’s first responders – fire, police and emergency medical services – and what struck me was the unity that we have as we all work together to keep people safe. Chester County’s Department of Emergency Services, in cooperation with the emergency response organizations, is currently working with the architects of the Public Safety Training Campus to incorporate a design for the memorial that will highlight the Pentagon limestone. 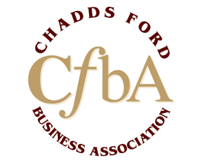 It joins a section of a World Trade Center steel beam that is displayed at the front entrance of the Training Campus education building.